Youtube can be great for drum playalongs, but the quality sometimes isn’t the best. Here are my favorite places to find the best drumless backing tracks. 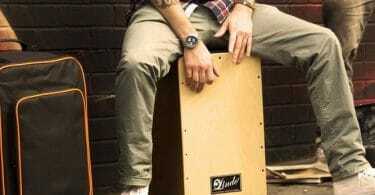 Many months ago I decided to go on a hunt for drumless backing tracks that I could play along to. While I found a few good ones on YouTube, the majority either had cheesy sounding instruments that sound like they belong in an early 90’s video game, or the quality was just lacking overall. This time I decided to dig much deeper and see where to find the best drumless tracks. And the result? I was pleasantly surprised! I now have an endless library of practice loops to jam along with on my electronic drum set and the list keeps growing each day. For most of these sites you’ll have to shell out some cash, but in my opinion it’s totally worth it since the quality far surpasses most tracks that you’ll find for free on YouTube. This is probably my new favorite place to grab drum practice loops. Each drum track runs around 10 minutes long and is about $2.99 USD. You can also grab some different packs which come with multiple tracks. Styles include things like ambient, country, electronic, funk/blues, hip-hop, pop, reggae, and rock/metal. Aside from being able to sort by these styles you can also sort by tempo. Other than the fact that the audio quality is top-notch, the great thing about this site is that there’s a video preview of every single track where the creator (Adam Tuminaro) plays along to them, so you can get a good idea of what it will sound like to play along yourself. It’s also a great way to pick up some different groove ideas. The other thing I love about these loops is that they aren’t full songs you have to memorize. They are specifically made to be simple and repeatable so you can practice your chops and come up with cool new ideas on-the-fly. Almost every week Adam uploads new tracks and lesson videos to his YouTube channel here, so make sure to subscribe to stay in the loop on new releases. If you like playing along with popular songs, you are going to love this site. You can basically take any of the popular songs on their site (they have more than you can count), and create your own custom mp3 by removing whichever instruments you want. 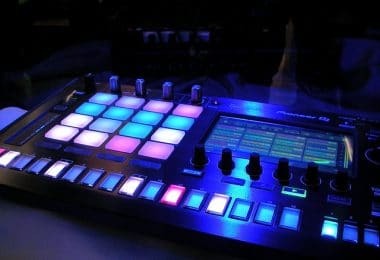 The way it works is that you click on any song you like and it will bring up a mixer for every instrument in the song, like vocals, bass, guitar, drums, synth, piano, and much more. You can mute whatever instrument you want, control the volume of it, and even change the panning. If that’s not enough you can even change the pitch of the song. Once you get it how you like you can download your custom mp3 for $2.99, and you can even go back in afterwards and change it up again however you like, whenever you want, and however many times you want. If you know you just want a drumless version, you can buy it for $1.99 in the “Backing Tracks For Drums” section, but you won’t have the option to customize each instrument. The quality of these tracks are excellent, so if you know you love playing along to popular songs that are on the radio, this is your best bet. This one is a little pricey so it’s not my top choice, but I feel that the quality of the tracks is good enough to warrant a spot on this list. 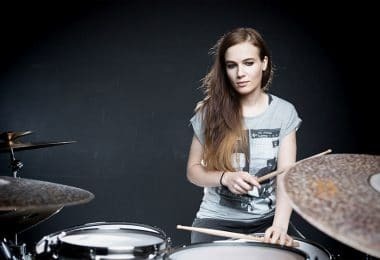 They have a library of about 3,200 drumless songs (most are popular songs), and you can either buy them individually for $3 per song, or you can shell out $149 and download the entire library all at once. There are previews for only 16 songs out of 3,200, so it’s hard to tell exactly what you’ll be getting - but judging from those 16 you’ll be getting a high quality version of the real song without drums. I’d suggest taking a look at their library page here and seeing if there are any songs that you really want. If so, it’s as simple shooting them an email with your list request! I went ahead and bought about 20 individual songs from this site, and I’m happy to report that it was a quick and easy process. After I sent over the list I quickly received an email with a payment link, and after paying I was sent the download folder pretty much instantly. All the tracks are the real thing (minus drums) and the quality overall is great. There were 1 or 2 tracks I got that were either covers or a little sub-par when it comes to sound quality, but overall it was a pleasant experience. Finally, some free drumset playalong tracks! 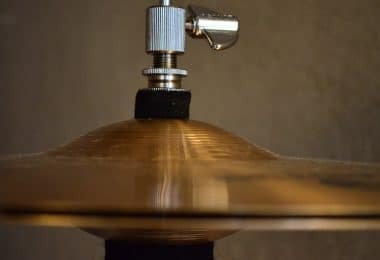 While the drumless tracks here vary quite a bit in quality and style, the fact that they are free is great, and most of them even come with pdf charts to play along with. 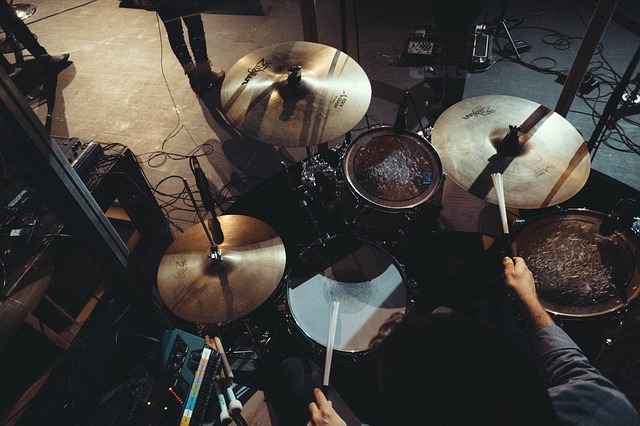 Most of the songs are from well-known drummers, although some of the songs vary in quality and can be a little obscure. 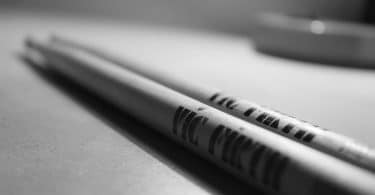 They tend to be a little more complex than your standard free YouTube drumless tracks (hence the pdf charts), so if you are into learning more complicated songs then this should be a great resource. If you search for “drum playalong” on Amazon (here’s a link to it), you’ll be pleasantly surprised by all the options out there. 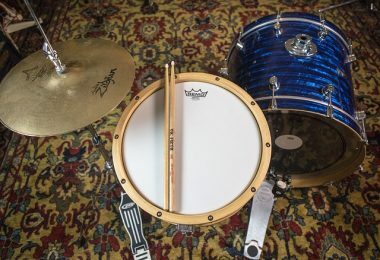 Not only do you get drum tabs for some of your favorite bands, but you’ll get a unique access code that will allow you to download the drumless tracks, or a CD. Some examples of books available are Ultimate Drum Play-Along Led Zeppelin and Red Hot Chili Peppers: Drum Play-Along Volume 31. 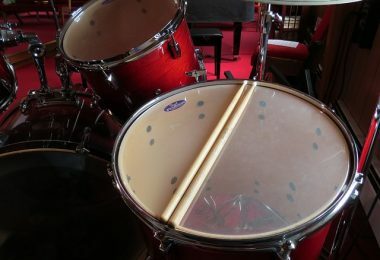 There are drumless books for many popular bands, as well as books aimed at kids and beginners. If you really can’t spend any money on the high quality drumless tracks above, don’t fret. There still plenty of free alternatives out there for you. First, of course you always have YouTube. Just type in “drumless backing track”, “minus drums”, or any similar phrase and you’ll get hundreds of results. Spotify is another great option. Just type in “drumless” in the search bar and you should see a bunch of drumless playlists already assembled for you. Keep in mind that the quality of these free ones will be all over the place, but you should be able to find a few gems buried in there somewhere.